The traditional and conventional ways of doing businesses have changed with the wide spread customer base, varied needs & preferences, culture, buying patterns etc.- So, it becomes very difficult to communicate with these kind of customers by using the old ways like emailers, print ads, media etc.- The advent of smartphones and devices like tablets have enabled the customers to search and explore lot of information while on the go by using these devices. They make a lot of buying decisions and do evaluations based on this kind of information. So there is a need for having a dynamic mobile application development process that organizations need to adopt in order to reach out to the targeted customer base with accurate and crisp information which will enable quicker and informed buying decision. 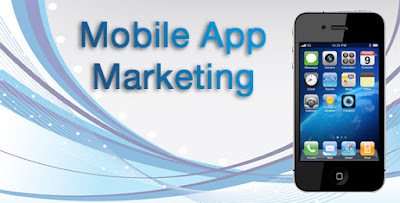 The Mobile application development in India has seen a rising trend of adoption among organizations of all sizes in order to reach out to their target customer segment and present them with all the required information and make them engage with the brand for a long term basis in order to increase their market share. Mobile apps can be built for different platforms like android, ios and windows depending upon the customer profile and market reach strategy of a company. Mobile apps development can largely be done by adopting two different types of development process like Native or Hybrid- Getting a mobile application to be built on any type of method requires understanding of the client’s budget and expected level of application performance. Android application development conventionally takes a longer time for development since there are lot of versions of android launched frequently and the application needs to be tested for all the versions so as to ensure smoother functioning and performance efficiency. Ios application development on the other hand takes lesser time on the testing front since there are limited version editions that are launched by Apple in a year. The other side of these applications is the E commerce mobile application to allow users to buy through the application by ensuring a smoother checkout and payment procedure along with offering attractive discounts and offers. E commerce mobile apps development have to be a mix of good interface, offering wide variety of goods and services , smoother checkout and convenient payment modes option like net banking, credit card, debit card , cash on delivery etc.